This is good article.. I am planning to implement this but will use mqtt message from esp8266 on when it detects motion from switch. how is power consumption of your project in deep sleep and wake up mode? 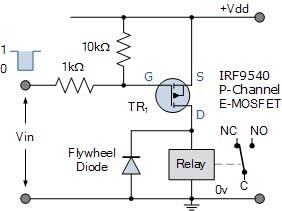 So, it turns out there is a problem with how this circuit worked. When it “sleeps”, the intent was that setting the GPIO HIGH, the MOSFET turns off. 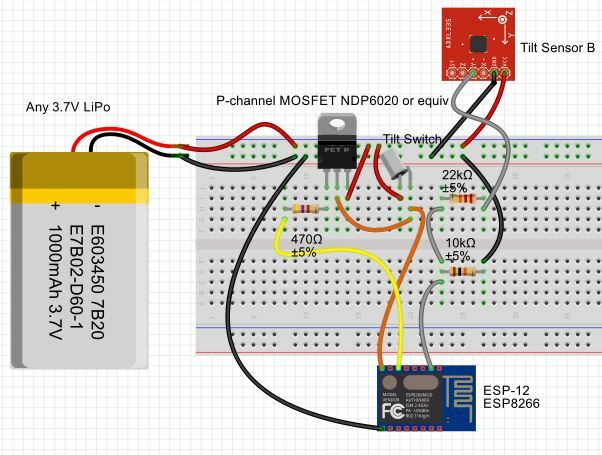 For some reason, what actually happens is that the MOSFET drops to a voltage below the point where the ESP is operational, but doesn’t turn completely off – it keeps “leaking” power at around 1.5V, which causes the battery to drain and opening the garage door, thus supplying full power, doesn’t bring the ESP out of this strange state. I suspect what is happening is that, as the MOSFET begins to turn off, the “HIGH” voltage coming from the GPIO starts to drop…at some point, it drops low enough that the MOSFET is not completely on or off, but in an in-between state, and the ESP become non-operational and isn’t supplying enough voltage to turn the MOSFET all the way off. I think I need to switch to a N-channel MOSFET, which is turned off by dropping the output to LOW. I got a few, but I haven’t had time to try this yet. 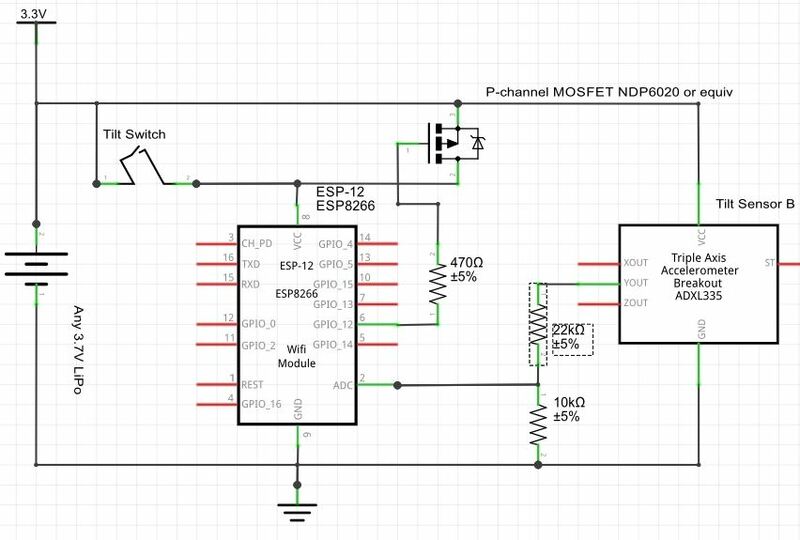 In theory, the OFF current of a MOSFET should be in the uA, so I expect battery life when “OFF” will be very good.